Softball is going to be more popular game at national level now a days. There are huge number of teams that are continuously joining softball tournament that will be held in different place of the globe. For staying at top of all the tournaments you have expertise in the all field of playing. There are variety of hitting skills that are sometime great and sometime not. For making a solid swing here are some drills that you can use for being a top hitter in all the softball tournaments. There are many gripping techniques that are available on the internet as well as many trainer teach you. 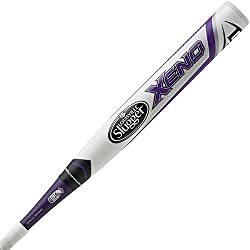 But one of the most popular gripping skills is that you grip the bat in your fingertips as most of the trainer taught. For making a great swing the placing of softball bat in your fingertips will allow you for maximum speed of your wrist which will add strength to your bat. Placement of your bat in the middle of palm lock your wrist as well as help you for more shoulder twisting and decrease your control on your bat. For betting stance you need standard athletic stance in which your feet will slight more wider as compare to shoulder and all your weight will be on your toes expect your hips and knees. For better balance you need to place your toes inward. At this position you must place your bat knob towards the opposite batter box in between your ear and shoulder of your body. This will help you to move the bat quickly for ball which is considered as ideal position for hitting. Once you are settle in this position now it’s time for a minimal movement for striding the bat for hitting the ball. In this way you can complete a power stride that help you for a power shot to throw the ball out of the ground. It is a critical swing phase where you time the pitch. The overall load as well as weight will be shifted to your back leg. If your inner thigh is flex then it is confirmed that you are in a correct load position. Now you must stride without transferring the weight from front leg and keep flexed the inner area of your back leg. There are three ways through which you can stride in softball game. First way to stride it that you must replant your foot on the position where you pick up the foot. The second way is that your toes must be touch with the field and your heel will be raise a little. The third way is that you must replant the foot to a width of shoe normally around four to six inches. Whatever method you stride you use, you must down your stride foot before the stride foot of pitcher at the time of foot planting. For tracking the ball through your eyes you need a proper balance. But if you don’t able to have a body balance you may face the pitcher’s wild pitches. So it better to maintain the balance before the foot plant of pitcher. For hitting with a huge power you must need a contact position with the pitcher. You need to be in a best standing position for throwing the ball far away when ball touch the bat. In this condition the movement of your elbow and shoulder are same as your hip which will move with the back knee. So all parts will be in line for making a strong hit. After that you must palm up your front hand with the palm down of your back hand and both eye contacting with the pitcher. But remember in this situation you all front body will be stay at the solid position during the whole swing. For making batter spin your hand must be above from the ball for getting the contact with the top third of softball. Which help you for quick down of your hand to throw the ball for a long distance rather then height. Pointing the bat knob towards the opposite batter’s bag will help you for a best softball bat path. And in this situation your bat will be in the ideal position. Your hand have movement toward the back from pitcher when you strike. For finishing the striding on ball you bat must be positioning towards the pitcher but if you are felling the difficulties during the position check back that you have the correct position when you start, The finish should pointing the field center. It really an easy to use drill which use a proper techniques and physicals mechanics. This drill will be beneficial for the player to know more about the correctness. You must practice the line divers at the target position with a fifteen to twenty feet directly towards your tee. There are also many other techniques that you can use for tee drills that are available on different online resources. All you need a practice again and again to grip of this tee skills which really help you to make a batter positioning and other things you need during the hitting. At end I just want to say that for winning any softball tournament you need a great hitter that will lead you during the match towards success. So for preparing your hitter for best hitting the above mention techniques are the only solution. Most of the coach recommend these techniques as they are proven and made after huge research of body mechanism as well as by using the help of expert softball hitter. Practicing a lot of these softball techniques will help you toward a better hitter in the tournament. For getting please explore of website to get information regarding softball drills.